On October 12, Bellevue Park Hotel Riga will host Latvia’s first international congress dedicated to innovative sectors of the gambling industry. 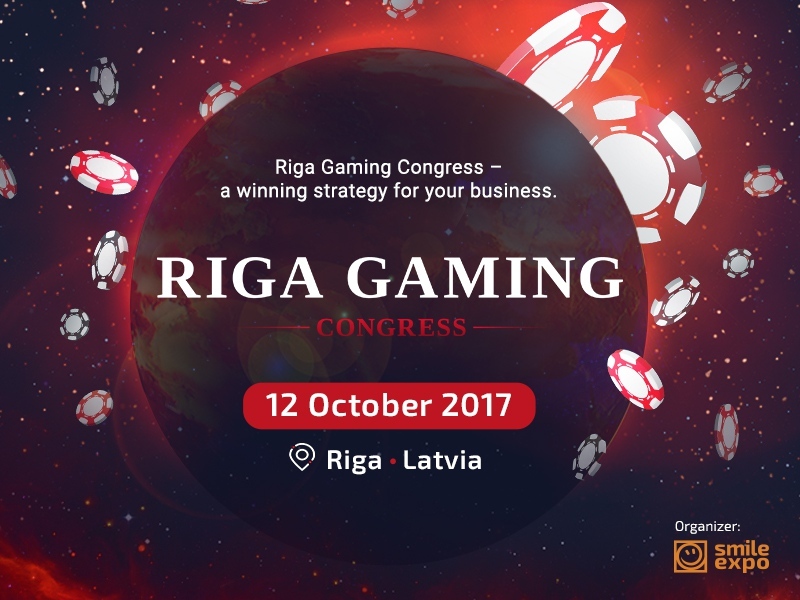 It is Riga Gaming Congress that will make your business successful: marketing strategies, legal actions and useful contacts. The event will include the conference with relevant presentations from world-class experts and the demo zone, presenting the most interesting casino and betting novelties. RGCongress will allow you to establish relations with business partners, investors, developers and opinion leaders, as well as to increase the recognition of your own brand. Maxim Krupyshev (Cubits) will talk about the cryptocurrency role in the gambling industry. Eric Benz’s (Cryptopay) presentation is also related with the previous topic: he will real Bitcoin pay-offs and operation concepts of debit BTC cards. Francisco Javier Vidal Caamaño (Sortis & Golden Lion Casinos) will analyze development trends of land-based and online casinos on the Latvian and global markets. Steve Donoughue (GamblingConsultant.co.uk) will compare gambling markets and industry legislation in Latvia and Great Britain. Francesco Baranca (Federbet) will speak about fixed matches in fantasy sports and eSports. The presentation of Benjamon Carlotti (OulalaGames) will allow the audience to delve into fantasy sports, focusing on its constant growth in Europe. Ishay Tentser (IniTech) will tell guests how chatbots increase leads and improve gaming experience. Carlo Pagan (Casino Campione D’Italia) will dedicate his presentation to the strategies of successful casino marketing. RGCongress is organized by Smile-Expo known in the CIS countries and Europe due to over 10 years of experience in holding specialized events. Gaming Congress is a winning strategy of your own business. You can buy a ticket to the event following the link. We also recommend you to enter RGCongress official website in order to keep up with relevant news.